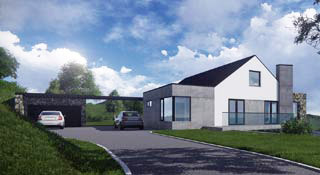 This comtemporary home is a modern representation of the traditional Irish vernacular form. 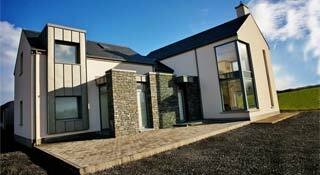 The living block presents a narrow gable to the front whilst the bedroom block reads in union with this narrow form. 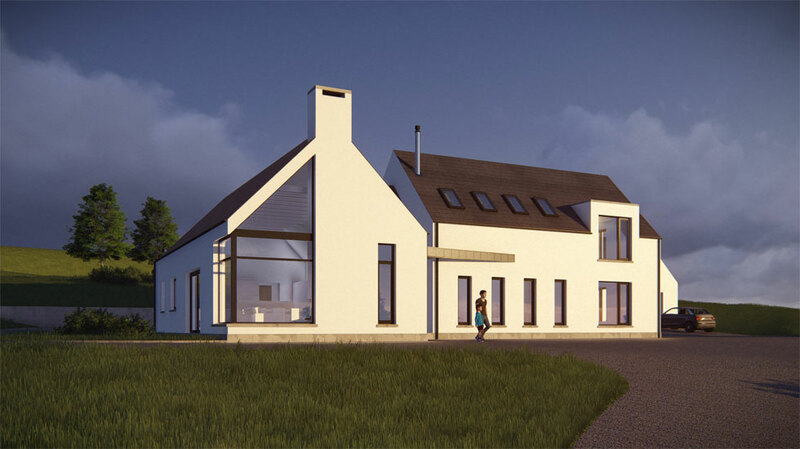 The concept behind the dwelling is reflective of traditional, vernacular dwellings and outbuildings that contributes to the character of rural Donegal. This is achieved through materials, form and the clustered settlement patterns of traditional outbuildings. 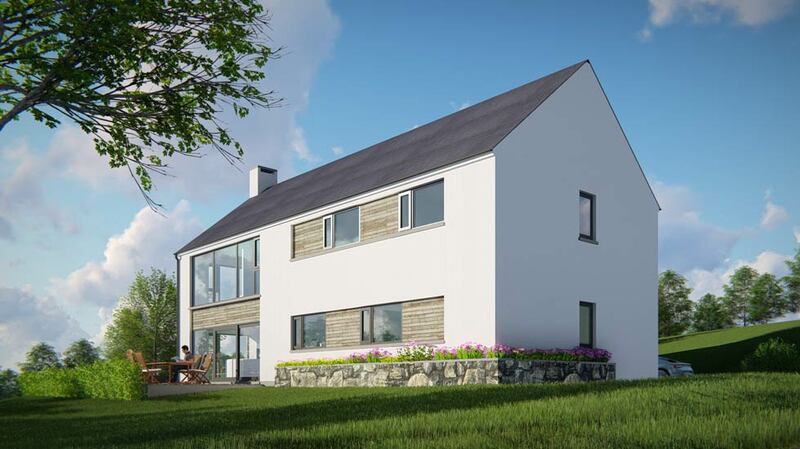 Looking out over Lough Eske, this family home's sunny south westerly aspect leaves the home bathed in natural light during both the day and evening. The house seamlessly integrates into the landscape in its stunning yet sensitive landscape. 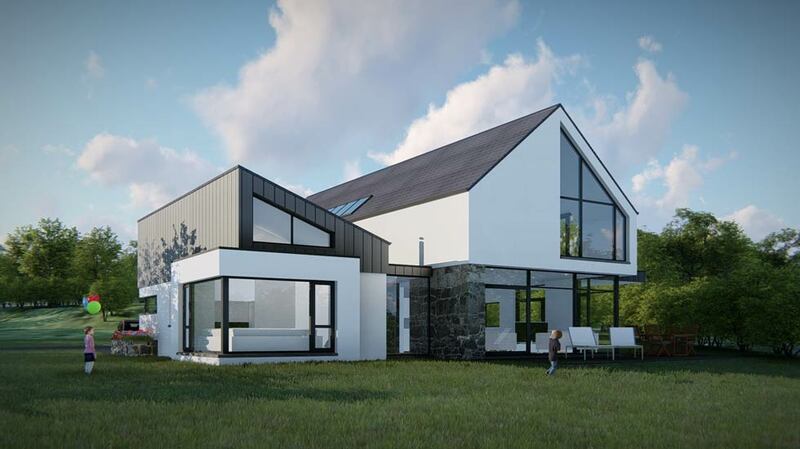 A contemporary response to vernacular architecture, the extension and refurbishment of an existing house on the N15 outside Sligo town, takes advantage of its surroundings, capturing the views of Benbulben and natural light in to the open plan living spaces. The unassuming dwelling is reflective in form and scale of the traditional rural farmhouse that contributes to the character of rural Donegal. The design reflects these traditional characteristics but the detailing is executed in a contemporary manner. The family home is laid out with a ‘T’ shape plan. 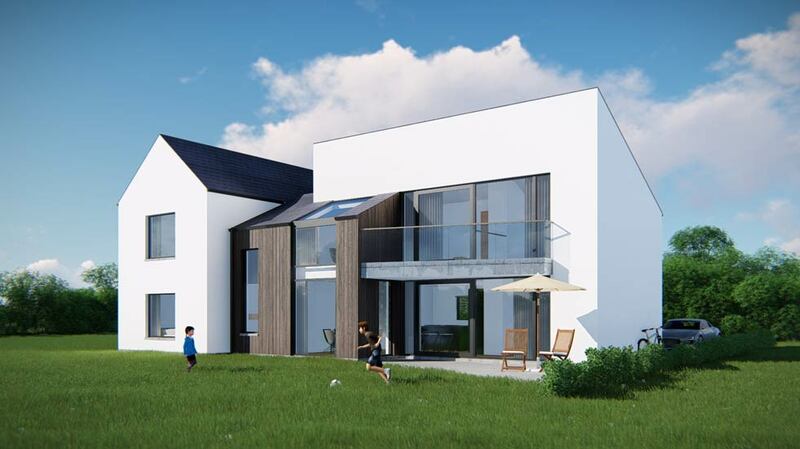 A simple ‘A’ frame roof containing the sleeping block addresses the public road whilst the mono-pitched living block addresses the private entrance area and garden.